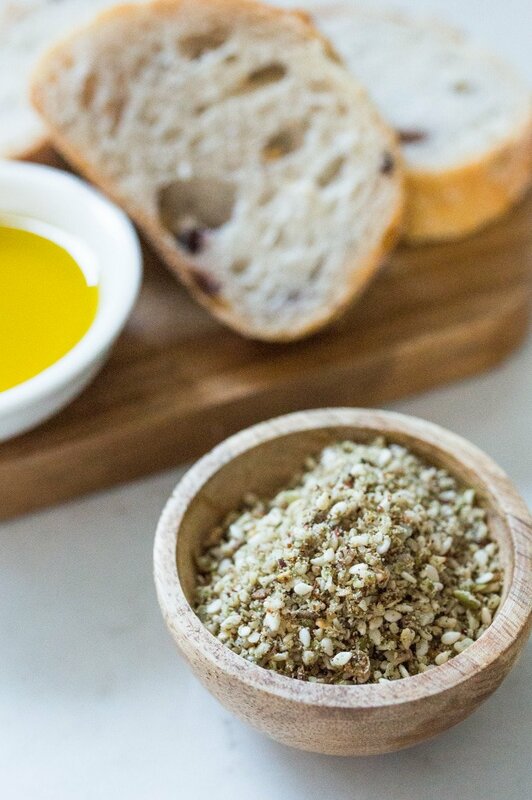 Dukkah is that sandy stuff you sometimes get served with bread and olive oil when you go out for dinner. Rest assured it isn’t sand, but a mix of seeds, spices and nuts…which means dukkah is something I have to steer clear of. That was until I made my own nut free dukkah. Seriously, this just involved a simple swap out of the nuts for some toasted pumpkin and sunflower seeds. Too easy. I am sure you will come up with many more once you have made up a batch. It keeps best in the fridge – use a little or a lot, it is totally up to you! 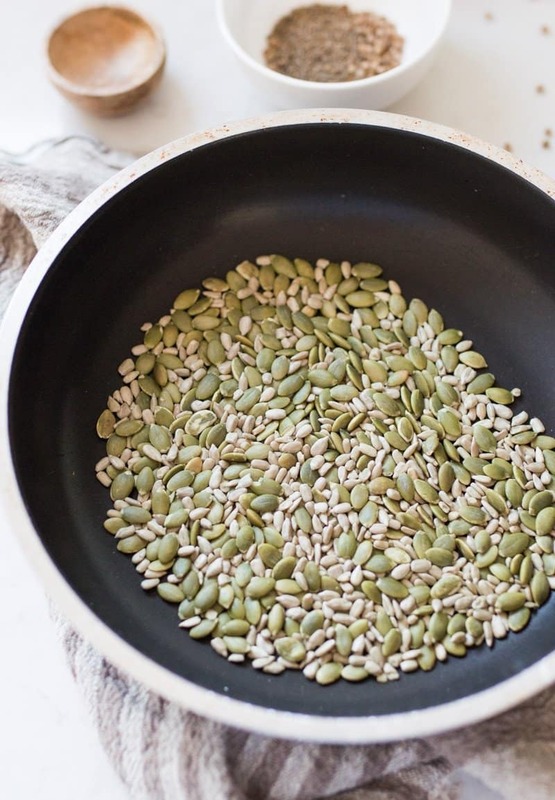 A simple swap of nuts for toasted pumpkin and sunflower seeds makes this middle eastern dukkah safe for people with a nut allergy. 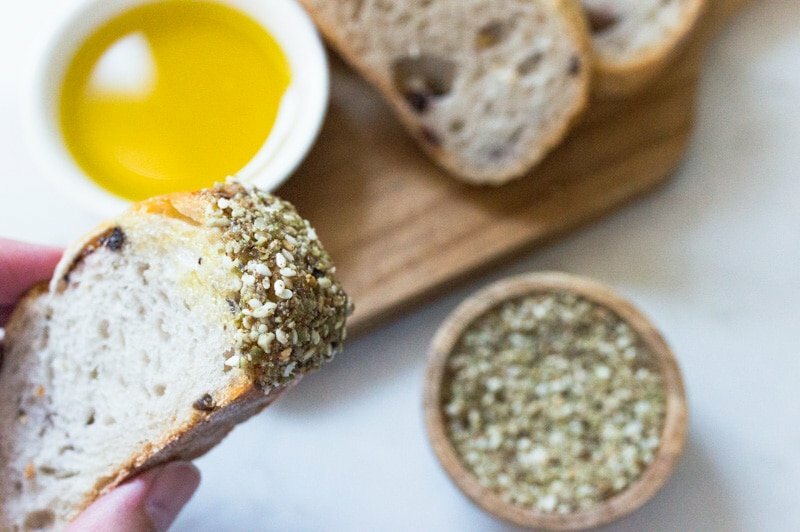 How would you use dukkah? 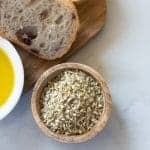 Never tried dukkah! Great idea for a nut free version! You know..I’ve never been served sandy stuff with the bread and olive oil. I think I’ve been missing out! I like that you swapped in a bunch of seeds to make yours nut free. I think it really give it the same sort of crunch/texture as if you were eating the real thing. Looking at your list though, I don’t think I would know what I was missing if I only had your version! Maybe it is something unique to Australia then? 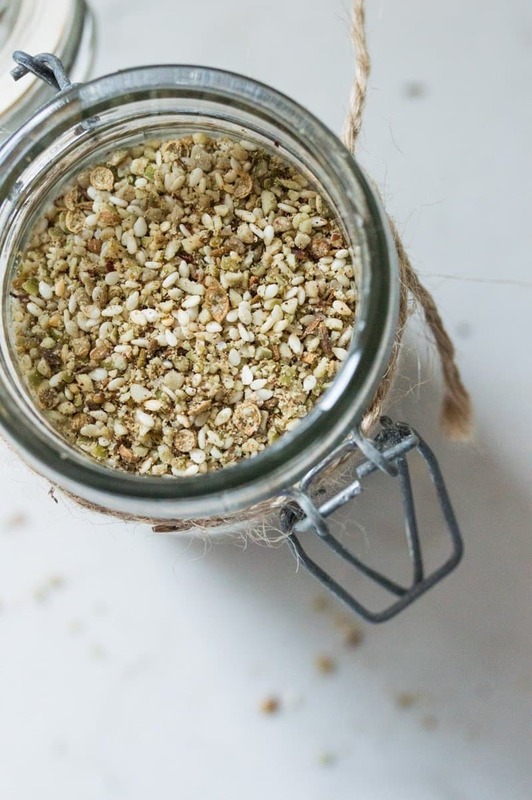 I have never tried dukkah, but I am always look for new fun ways to consume seeds! 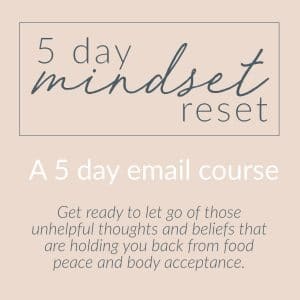 I love all of your ideas for how to use it up. I will try it on my avocado toast! Thanks! Love dukkah! So happy those with nut allergies can also enjoy. Your recipe looks amazing! What a great idea to make your own nut free version. And looks so simple. Pinning to give it a try. Always has to be simple if I am going to make it! I haven’t tried any of these combinations to know if they are tasty, but you could leave out the sesame and just increase the quantities of pumpkin and sunflower seeds. 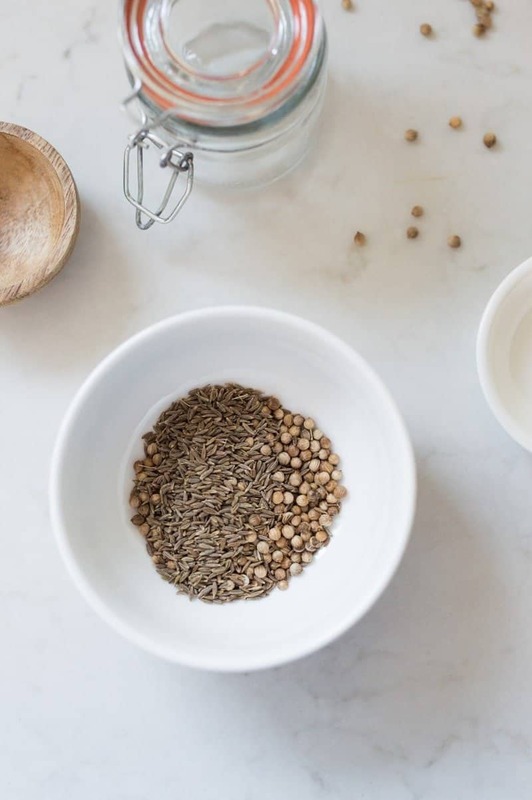 Or you could substitute for a different type of seed that you do tolerate like flaxseed or hemp. Feel free to experiment!